Suppose an author has a finely written, solid manuscript that that deals with universal issues (family, friends, self-worth, love, etc) and is set in an LDS community and has mainly LDS characters. Assume you believe the story would sell well in the LDS niche, but would also have some appeal to the mainstream market. 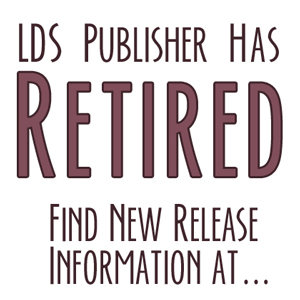 In your opinion, would it be better to focus on the LDS market, where the book would be seen as a great success, or try for the mainstream press, where even double the sales volume might be seen as a lackluster performance? Is there a point where you would recommend one path over the other? This is one of those questions that you’ll have to answer for yourself. It really depends on what your goals are, the type of story it is, and which audience (LDS or national) you feel an allegiance to. There are valid reasons for choosing either approach. Having a novel with an LDS setting and characters published nationally can be done; it has been done. Two that immediately come to mind are Saints by Orson Scott Card and Charlotte’s Rose by A.E. Cannon. However, both these authors took the opposite route—they were successful as national, non-LDS content authors first, then wrote an LDS content novel. I know there are some readers of this blog who are making that cross-over to national publishing right now. What I don’t know is if those national novels will have LDS characters or settings. I’d love to hear some of your opinions on this. I have three books in the LDS Market and my next novel is targeted toward the national market. I’ve written for such, but am choosing the national publishing arm of an LDS publisher (in hopes that we are in agreement that it is a most excellent story) to release it. I, as the author, am going to promote it heavily in both markets. I’ve hired a publicists, will be doing book tours, mini-concerts with my co-author (Merrill Osmond), firesides, book signings, etc. He and I are hitting both markets hard. I ask why only one market is usually viable? In this book there are a couple of LDS characters, but the two main characters are not. Cross over? What? Most LDS novels are LDS novels because the author either wants some LDS theme to permeate the the story, has plot lines that are motivated by LDS doctrine, LDS morality or LDS culture. In other words they are distinctly religious, spiritual, or culturallly LDS in nature. Most novels written for general audience are usually driven by non-religious themes. There is generally no need to identify the religion of a preacher or the soucre of any spiritual aspect of the story because, well, it isn’t aimed at any specific religious group. A few novels have no religious context. Those are usually broken stories with little or no uplifting or redeeming qualities. They usually do not appeal to a wide audience, but they have enough appeal in today’s world to get published and make a good deal of money. Most novels, if not nearly all, drawn on some sort of spiritual themes without depending on those themes to drive the plot line. Themes like rebirth, fogivenes and atonement (or a watered down version of atonement that we usually refer to as change of heart or character change—but, hey, that’s just a secular excuse for not calling a spade a spade and, sadly, even LDS authors often fail to recognize the atonement themes in their own stories). There are a few novels that depend heavily on spiritual ideas and use them to drive their plots. Spiritual ideas about life after life have been the motivating force behind many recently published novels. If you’re trying to publish a “cross over” because you want to promote the church and some chruch doctrine to non-members you will likely fail. If you write a story set in an LDS society, you will likely need a strong non-LDS protagonist who has an extermely compelling reason to insert himself/herslef into that society and come away changed for better or worse after partaking of a new cultural experience. If not, there are likely few if any cross overs that will appeal to a non-LDS audience. PS: when they come away changed, they don’t necessarily come away baptized…leave that to the missionaries. All you need to do is change the protagonists heart, not necessarily his denomination (for now…all you member missionaries)…. No go on. Get to writing the first bombsell-of-an-LDS-cross-over! No offense, Anon, but I have absolutely no idea what you just said. On the one hand, you say “Most novels written for general audience are usually driven by non-religious themes.” But then you say a few lines later, “A few novels have no religious context. Those are usually broken stories with little or no uplifting or redeeming qualities.” Does this mean you think that most novels written for the general audience have little or no uplifting or redeeming qualities? I don’t buy that at all. Then you say, “They usually do not appeal to a wide audience. . .” And yet they “make a good deal of money.” How do you manage to make a good deal of money without appealing to a wide audience? Writing for the LDS market is like writing for a lot of regional or target specific audiences. You do it because you a) Have a love or knowledge of that market, b) find it easier to get published there than the big nationals, or c) happen to fall into it. The good news about publishing for a regional is you will have an easier time making a bigger splash in a smaller pond. You may also be able to write things or use themes you’d have a tougher time doing in a national market. The bad news is your potential base of readers if much smaller. In my experience, you should write for the LDS market because you know it and love it. Essentially, you want to give something to that community, not because you see it as a path to the national market. They really don’t seem to place a great deal of clout behind that. It’s almost like they think that you published with a smaller publisher because you weren’t good enough to get a big publisher. The second notion is that national publishers are not interested in books with Mormon characters or settings. That doesn’t seem to fly either. If your story is gripping, your characters are real, AND the plot is appealing to a wide audience, the religion of the characters is not going to keep your book from getting accepted. On the other if you write a book about a couple learning about the church and getting baptized, that very well might keep you out. It’s not because they become Mormons, it’s because the plot is not something that appeals to a wide group. Why write for a national market? The risks are bigger, but so are the rewards. You can get lost in the crowd very easily in the national market, but there is so much more upside. The novel I got my national agent with was a supernatural thriller with LDS characters and setting. The novel I will be going national with first through Shadow Mountain has no LDS specific content. As far as religious themes, name me a single book that doesn’t have some theme that could be interpreted as having a “moral” of some sort. All of that being said, all writing gives you experience. So get published where you can, and make sure each book is better than the next. You can make a lot of money selling to the “regional” online market of those who frequent the dailykos website. The stories may be abberant, broken and profane, but dailykos surfers are very committed to their world view and you can sell 20 thousand books to them. Not a very large portion of the national market, but at $30.00 a pop, hey, why not write a broken story. You can make a lot of money. So, yes, there is a small regional market for broken stories and the few authors who write those storeis can pull down some pretty good numbers. Does that help Jeff? There is a difference between a theme that is the major driving force behind a novel and other themes that appear in a novel. The driving “force” behind most novels today is not religious or spiritual in nature and most novelists will tell you that there is no religion in what they wrote. Some even claim that there is no spirituality in their writing. But they can’t help from keeping spiritual themes from creeping into their stories despite their best attempts to write a secularly-themed novel. Not that the author is secular, its just that they never intended to write a spirtually-themed story. But, hey, since the author and the reader are inherentily spiritual beings they just can’t help allowing an undercurrent of spiritual themes from appearing in the stories they read and write. Forgiveness, repetance, rebirth, renewal, life after life, life before life, morality, higher order of life, supernatural, miracles, seeking help from a higher source (maybe even prayer). Those spiritual themes just keep creeping into their stories. The authors of most novels in the national market never intended to write a spiritually-themed book. And when asked they’ll deny they did. But, if you examine their writings, they draw deeply on a well of spiritual themes that, though they are not central to the story (in otherwords they are not the driving theme in the story), keep creeping up into the writing as symphony of minor themes. So yes, on one hand most novels written for general audiences are usually driven by non-religious themes, but they are still in there, all over the place. Is that any clearer Jeff? In answer to your question, I guess it depends how you define a lot of money. In general if you want to make a living at writing, (which is how I’d define a lot of money. I’m sure other people have other definitions) you aren’t going to do it writing for a small audience, unless they are very focused, buy a lot of books, and are willing to pay a high price tag for their books. I thought I was clear in my point that nearly every novel can be viewed through a spiritual lens. Does that make all novels spiritual? Maybe. I tend to think there is a difference between a story from which a message can be derived and a story where the primary focus is the message. One of my favorite authors wrote that his stories were designed to be entertaining, and that if you wanted to learn something you should go to school. I think what he was saying was that if you write your story to teach a lesson, you have a good chance of putting people to sleep. Whereas if you write a good story, people will find their own messages. Not sure whether to take your comment about my writing as a compliment or not, but I think I will. And at least I put my name to it, whether it’s clear or not. Messages, lessons and themes are rather different animals. A good author who is pasionate about her message that a good laugh can cure and thousand ills, can certainly write a wonderful novel about the value of laugther and healing—-just so long as she doesn’t preach too much about the physiology of oxygenating the blood through the increased respitory activity when one laughs. A good author who is passionate about teaching her lesson that a good laugh can cure a thousand ills can certainly write a wonderful novel about how best to get someone to laugh—just as long as they don’t put the reader to sleep with a hundred techniques that are certain to get sick people to laugh themselves back to health. A good author who is passionate about the theme that a good laugh cures a thousand ills can write a wonderful novel about just about anything, just so long as burried somewhere in that novel there is a patient who believes that a happy soul is a healthy soul. A good author can use a message as the foundation for their story and write a wonderful novel. A good author can use lesson as the foundation for their story and write a wonderful novel. A good author can use a theme—but not as the foundation of their novel—and write a wonderful story. Messages and lessons are fuel to light the inspiration behind a story. Themes rise up from the story after it is written. The bubble to the surface. They were often never intended by the author, but they are there. Sometimes they arise from the authors subconsiously placing elements of faith, forgiveness and rebirth into their stories. Sometiimes authors credit readers for finding things in their stories that they never placed there. That is sometimes true, but more often than author’s are willing to admit, when they write from the soul, they place spiritual themes into their writing that communicate from spirit to spirit. They are usually spiritual in nature. They usually arise from ideas of repentance, faith, baptism (rebirth and renewal and being born again to a new life or new understanding) and regardless of who brings more of that to the reading experience, the author or the reader, they rise to the surface like so much cream and they make our novels rich with the stuff of life and the eternal lives. PS Jeff: Exactly what is the name of the woman who runs this site anyway? I’d like to see her put a name on a few things. But then she has a very good reason not to do that. You, however, have a very good business reason to put your name on everything. The woman who runs the site puts her name on everything else she writes. But she wouldn’t be able to write what she does here if she put her name on it. And honestly if you think I post on her site because it makes me so much money, you’re mistaken. Of course you have the right to say whatever you want and to include your name or not. And frankly, I don’t think we disagree as much as you might think. So let’s just shake hands. I appreciate your thoughts. Do books published by LDS publishers ever find their way into the national (or even other regional) markets? I know Shadow Mountain was set up by Deseret Boook to provide a national publishing vehicle, but what about books from other LDS publishers? Wow, I take my kids shopping for school and I miss an entire debate (some of which I didn’t understand)! LDSP, your blog is hot today! Of course their Shadow Mountain imprint is not really a crossover publisher at all. It is focused on national titles which are also sold in LDS stores. With a very few exceptions, the answer would be no. If your book is sold to an LDS publisher, the vast majority of the readership will be to other LDS readers. Depends on the numbers. If you sold 10,000 books, it’s ho-hum. If you sold 100,000 books in a regional market, they pay a little more attention. I have to politely disagree with this statement, Jeff. I have heard agents say — and one tell me personally — that an author who has an established, consistent track record of published books with a smaller publisher IS taken seriously by editors of larger houses and by agents. If you’ve chosen the vanity press route, however, that’s a different story. PublishAmerica, Author House, and iUniverse are *not* traditional publishers. I’m sure different publishers and agents have different thoughts. My agent, who was previously the managing editor of Berkley and who works with the big six regularly told me that getting published by a small press (unless it is a pretigious press) means nothing. And the publishers we talked to seemed to back that up. I agree with LDS Pub that significant sales would make a big difference. But since most LDS novels only sell less than 10,000 books, that wouldn’t have a huge impact. Maybe things have changed though. I’ll ask my agent her current thoughts. Let me clarify that a publishing cred is a publishing cred. It shows that you do have talent, and I would definitely say to put it in a query letter. But when I had published a couple of LDS novels, I thought agents and publishers would sit up and take notice. In my experience, they do not. I think it’s a lot like going from the minors to the majors. You wouldn’t be in the minors if you didn’t have talent. But it doesn’t guarantee you a spot in the bigs. Competition at the big six level is much tougher than it is in the national market. Wow – I’ve heard much different things from national agents and publishers than I’m hearing here. I had Miss Snark herself tell me that a first time author in the national market selling 5,000 books is considered to be very good. I have many author friends in the national market who did *not* sell that many with their first novels, and yet my understanding is that LDS authors can expect to sell close to that amount. I’m another who hopes to get my foot in the door and publish nationally, and one of those reasons is that the books I’d really love to write, light paranormal romances, would never sell in an LDS market. I do love writing to an LDS market, where I don’t have to explain everything to everyone and you understand what it means if I say FHE. I hope someday to get my act together and be able to write for both. You’re right. Less than 25k new books a year sell more than 5,000 copies. But whether that is successful or not really depends on the type of book, the publisher, and the marketing push. Shadow Mountain’s first two YA fantasies have sold over 70,000 copies in hardback alone. So 5,000 would be a major failure for them. A first time mystery with Avon, on the other hand, might be very happy with 5,000, because they don’t have a lot invested in the book and 5,000 copies shows the author knows how to build an audience. I think the key is the amount of marketing and distribution the publisher has. Even though Covenant, for example, would be considered a regional, they don’t consider 5,000 books to be all that successful. That’s mainly because they have a lot of marketing clout they put behind each new book in the LDS market. If a book sells less than 5,000 copies, they make not accept the author’s next book, or ask them to write in a different genre. My intent was not to tell people that their LDS novels won’t help them get a national deal. But to point out that the credibility I have seen the big six publishers place on my LDS novels which sold pretty well, was very minimal. A big part of this is because it’s traditionally hard to take your LDS audience with you across to the national market. Maybe someone else will have a completely different experience. Having read your first book, and heard great things about your second, I’m sure you will be successful when you decide to enter the national market. It’s always been a goal of mine to succeed in both. I don’t write for the same audience as most of the commenters here, but I do have a little bit of publishing experience. I realize this market isn’t a golden ticket to the national market. But to say that an author who has published with a small house isn’t taken seriously implies that it’s a strike against the author and it’s not worth mentioning. Your publishing history with a small press can show a)that a company is willing to risk their limited resources by investing in something you have written because they think it will sell, and 2)that you are constantly working to improve your skills. Whether you’re submitting your first novel or your thirteenth, if the Big Six editor is interested and accounting crunches the numbers and believes the book will turn a profit, you get an acceptance. If your work is sloppy, the story isn’t appealing, your writing is flat, or they can’t make the numbers work no matter how much they love the manuscript, you get rejected–regardless of how many or how few books you’ve published. You’re not applying for a job. It’s about the story that’s being submitted at that particular time. Still, if your cover letter shows a few publishing credits by a small house and your submission is intriguing, I can’t see an editor turning up her nose and saying “so what” just because you’ve been published by a small house. Perhaps writing for an LDS audience won’t help you sell books in the national market, but it does show that you’re actively pursuing a writing career. Whatever the case, if you’re fortunate enough to be published by any legitimate house, large or small, don’t discount your accomplishment. I agree completely. In my original quote, I never said it was a strike against you. I only said that big publishers really don’t seem to place a great deal of clout behind that. As far as I have seen that has not been the case. Miss Snark’s advice has always been right on the money. I followed her for years and mourned when she stopped blogging. Me: You make an excellent point, Jeff. Too many writers think all it takes is the first book and you’re writing and getting published happily ever after. The hardest book to write is the one you’re working on now, whether it’s your first or your fiftieth! And rejection stings just as much after you’ve been published as it did before you were in print. I’m a little late coming in on this one, and must say, wow, a lot happens when you turn your back for thirty seconds. I also must say that I’m trying to decide on what planet it’s kosher to go on someone’s blog as their guest and then diss them. I think you owe LDSPublisher an apology, Anonymous. Did I get dissed? I guess my skin has become so thick that I didn’t even notice. This is nothing compared to some of the scathing replies I get to my rejection letters. There was a certain tinge of dissed-ness there, but I guess Anon. did somewhat retract.